Just 20 miles or so to the south of Bath and Bristol are the Mendip Hills. designated as an Area of Outstanding Natural Beauty (AONB). spectacular underground caverns of Wookey Hole and Cheddar Caves, both now fascinating visitor attractions in their own right. 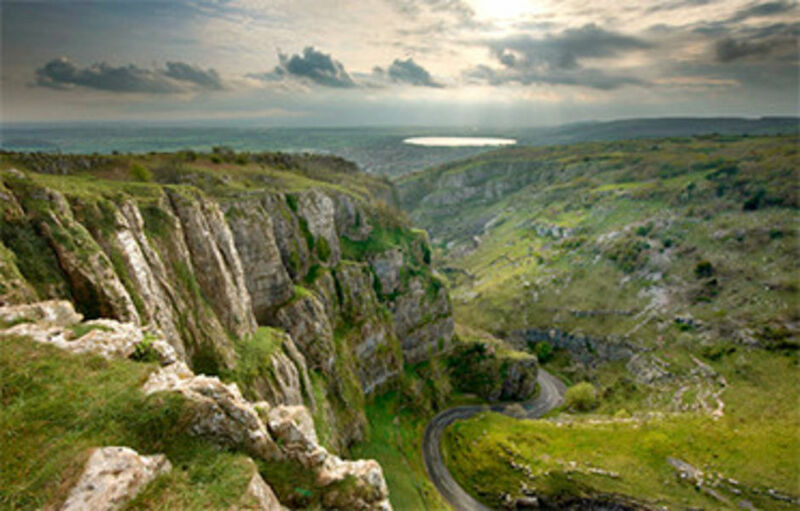 The Mendips make an excellent playground for all manner of outdoor activities, from caving to climbing, horse riding to mountain biking, walking to off-roading. Plenty of well-qualified organisations will allow you to try out something new or, if you already know what you're doing, they can help point you in the right direction for the best locations and perhaps to meet others who share the same interests. We have over 100 days a year when the course is available to visitors who want to play here.